Colorful pastry, made in wide range of flavors, came from France and instantly amazed the world. Pink almond biscuit filled with jam made of strawberries is the recipe for the perfect delight. Beat the egg whites with sugar to make hard meringue and add food color. Whisk together almonds, icing sugar and salt, then add the meringue and mix with spatula until becomes shiny. Make disks on the baking paper leaving enough space between them. 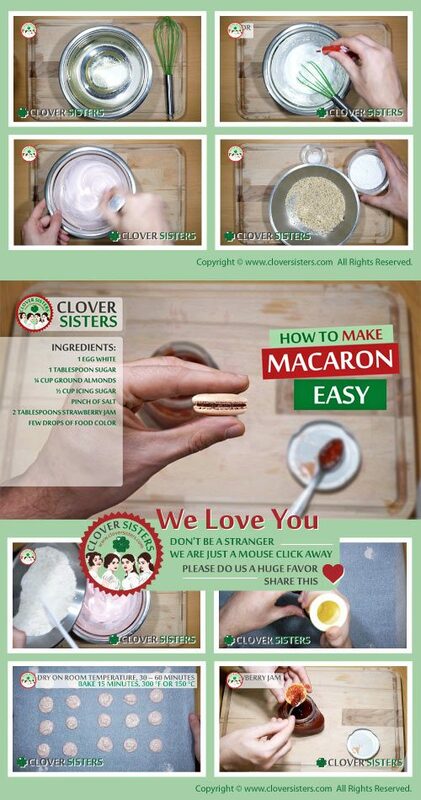 Let surface of the macarons dry on room temperature, about 30 – 60 minutes. Insert into oven preheated to 300F or 150C and bake for about 12 – 15 minutes. 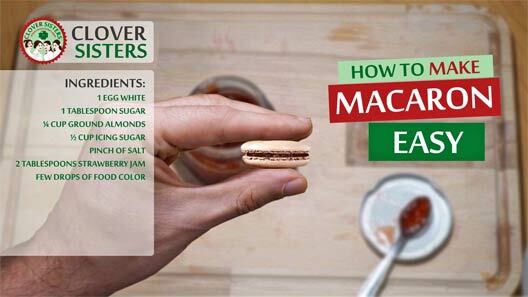 Make sandwiches with 2 macarons using strawberry jam.